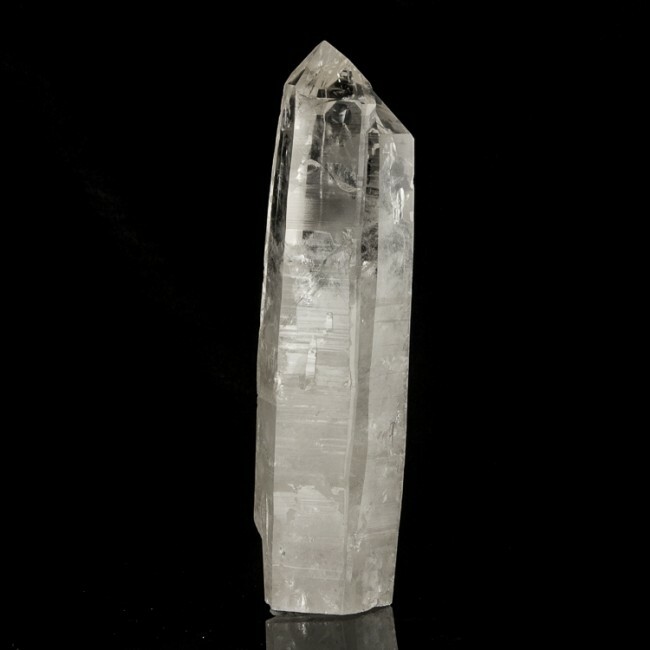 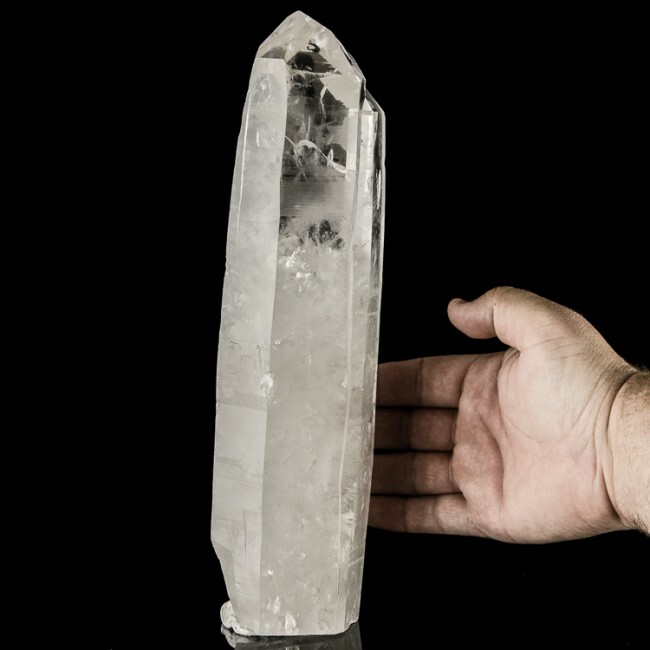 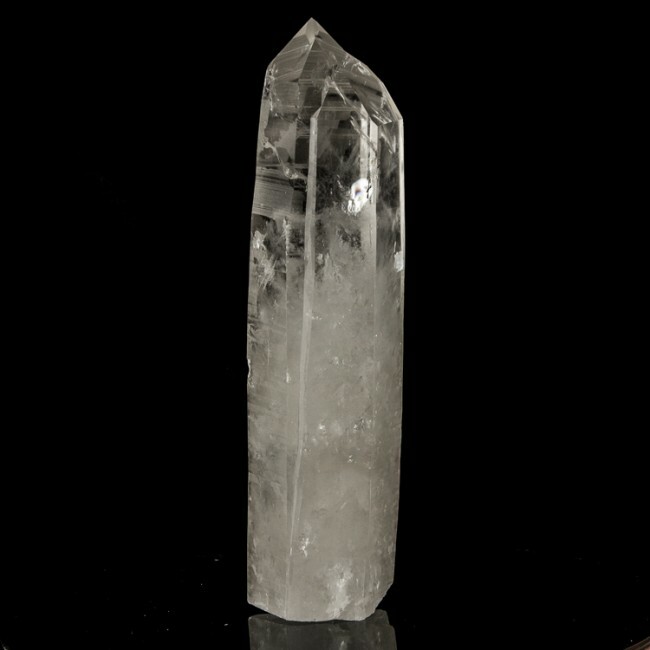 Size 12.2" x 3.3" x 2.7"
The gem clarity of this large Lemurian Seed quartz crystal is amazing - you can even read through it! 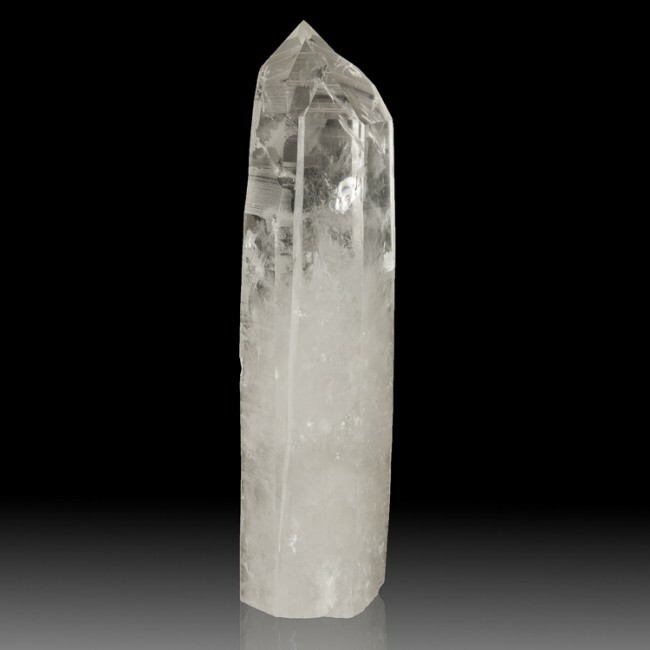 The crystal is sharply formed, with a lovely termination that features 3 lower triangles that don't reach the tip, and 3 faces that do, which is characteristic of Lemurian Seed crystals. 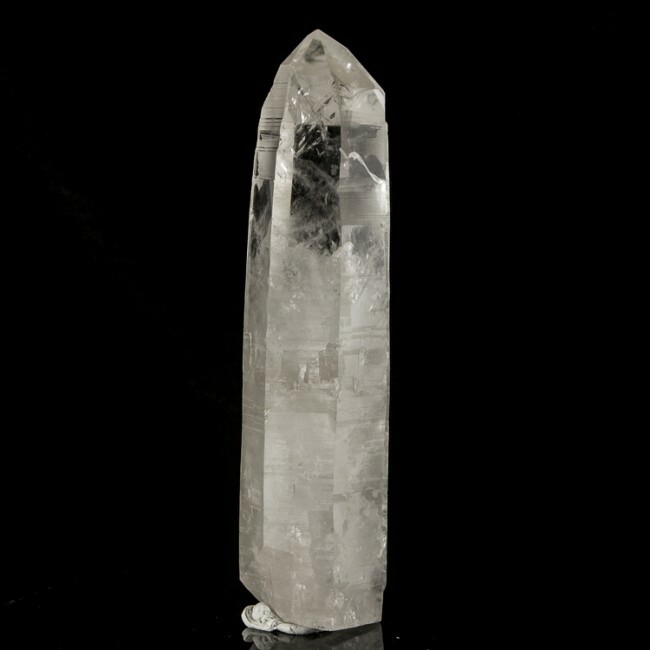 The crystal also has nicely striated sides and is nearly damage free.